Video of the abduction of Sombath Somphone on 15th December 2012 is below. Also see a chronology of the official investigation, and questions that are being raised about that investigation. The following footage and images come from a CCTV recording being shown on a computer screen, like a “Cam bootleg,” so clarity has been lost. Even though many countries have offered to help in its analysis, the original CCTV footage has not been released. A longer version of the video is available here. The Amnesty International briefing ‘Caught on Camera: the enforced disappearance of Sombath Somphone’ provides additional analysis. 1. Police stop Jeep and talk to Sombath. 2. Sombath gets out of Jeep and joins police at side of road (~70 seconds later). 3. Police waits behind Jeep and in front of outpost (~30 seconds later). 4. Person in black jacket arrives on motorcycle (~8 seconds later). 5. Person in black jacket rushes to join police (~5 seconds later). 6. Person in black jacket gets into Jeep (~80 seconds later). 7. Jeep is driven away, leaving motorcycle (~15 seconds later). 8. Person in white jacket waits in front of police outpost for pickup (~2.5 minutes later). 9. Pickup truck arrives (~40 seconds later). 10. Person in white jacket enters pickup (~5 seconds later). 11. 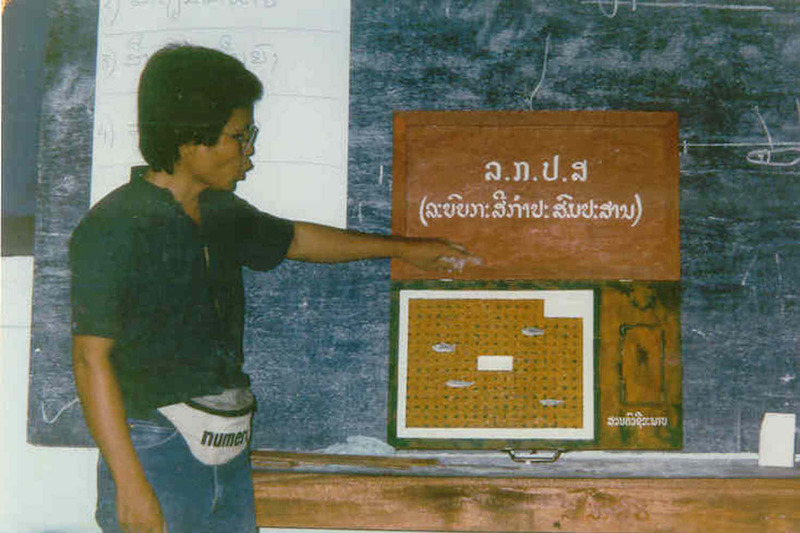 One or two more persons, including Sombath, enter pickup (~2 seconds later). 12. Policeman talks to persons on motorcycle exiting from behind outpost (~2 seconds later). 13. Motorcycle leaves, possibly firing shot (~3 seconds later) See Amnesty International report: Caught on Camera. 14. Pickup departs; police remains (~10 seconds later). 15. Police checks motorcycle (~35 seconds later). 16. Person in white jacket drags motorcycle away (~minutes later).